Marble is everywhere near the Centre of Foundation OBRAS. Many artists fall in love with marble. Some with the material itself (which is of excellent quality and available for free). 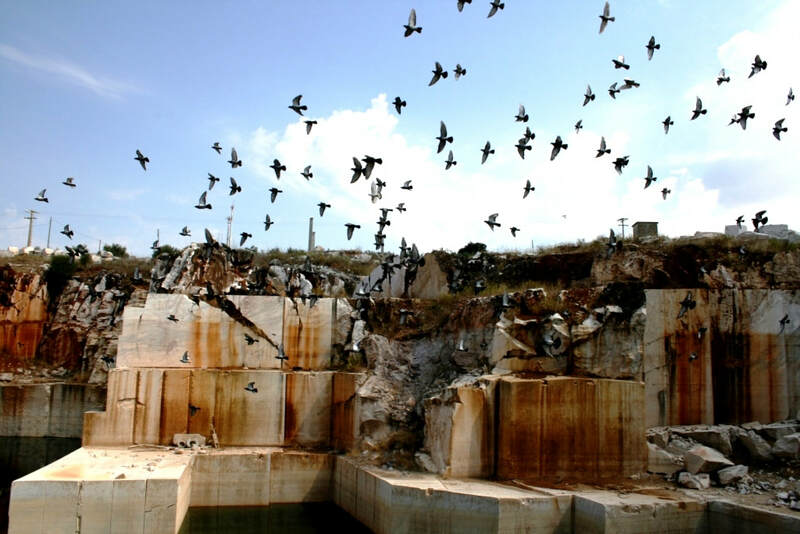 Others are inspired by the marble quarries: its industrial activity, its impact on the landscape or just its unique appearance. Of the 400 quarries 350 are abandoned, sometimes already for 50 years. Nature gradually takes over the man made structure, sometimes resulting in a mysterious paradise. Foundation OBRAS hosts and supports artists who make use of marble or quarries. We can bring you in contact with institutions and persons working in marble. For an introduction on the marble projects of of residents of Foundation OBRAS in the past years: click here. Some years ago we developed a proposal for a thematic park on marble, but this proved to be too ambitious for the time being.